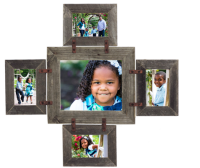 Due to popular demand, our collage frame is now available with 5×7 picture frames! 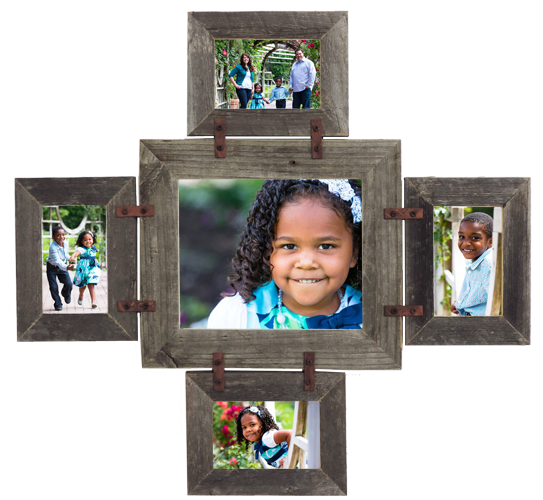 This Barnwood Picture Frame Photo Collage is 5 frames in one. Hang it whichever way works best with your photos, this collage frame is a must for your family pictures, grandkids, trips, favorite pets or . .. the list goes on and on. Each frame includes glass, backing and sawtooth hangers for hanging it on the wall.